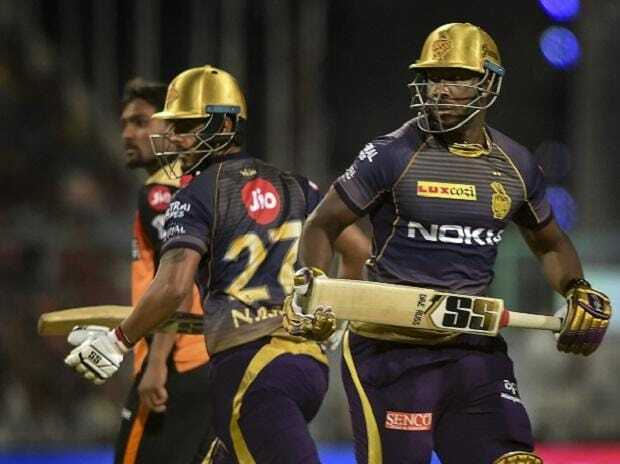 In match 23 of VIVO Indian Premier League 2019 (IPL 2019), Chennai Super Kings (CSK) will host Kolkata Knight Riders (KKR) at the M A Chidambaram Stadium in Chennai on Tuesday. It's set to be an interesting clash as Dinesh Karthik-led KKR is at the top of IPL 2019 points table while MS Dhoni-led CSK is at number two. Both Chennai and Kolkata won their last match against Kings XI Punjab and Rajasthan Royals respectively and they would look to extend lead as IPL 2019 approaches half-stage. For CSK, there is uncertainty over Dwayne Bravo's inclusion in the playing 11 as he missed the last match due to injury. It will be a clash of two strong sides and Chennai would require the service of all-rounder Bravo to counter Andre Russell's rampaging. Chennai brought in Faf du Plessis, Scott Kuggeleijn and Harbhajan Singh in place of Dwanye Bravo, Shardul thakur and Mohit Sharma and it worked well as du Plessis smashed a half-century and Harbhajan picked two wickets in his first over. MS Dhoni has scored runs in the torunament so far but the sheen is missing as he is using more balls than ususal. Shane Watson, Ambati Rayudu and Kedar Jadhav have decent figures against their names. CSK vs KKR match live streaming will be available live on Star Sports 1 HD, Star Sports 1 in English Commentary and Star Sports 1 Hindi, Star Sports 1 Hindi HD in Hindi Commentary. One can also live stream the CSK vs KKR 2019 IPL match on Hotstar app and website. The fans can also watch in-depth analysis of live match on Star Sports Select 1, Star Sports Select 1 HD. Chennai Super Kings: MS Dhoni (Captain/wicket-keeper), Suresh Raina, Ambati Rayudu, Shane Watson, Faf du Plessis, Murali Vijay, Kedar Jadhav, Sam Billings, Ravindra Jadeja, Dhruv Shorey, Chaitanya Bishnoi, Rituraj Gaikwad, Dwayne Bravo, Karn Sharma, Imran Tahir, Harbhajan Singh, Mitchell Santner, Shardul Thakur, Mohit Sharma, K.M. Asif, Deepak Chahar, N. Jagadeesan, Scott Kuggeleign.